Shop and use JOY10 for discount! http://www.giftzip.com/ is the one stop shop for everyone on your list. Simply go to the site and find a retailer that would be perfect and buy the gift certificate then simply email to your special someone or you can print it and give it to them in a card, or fool them by putting it in a large box along with a brick so they think they got a super big and heavy gift, when it's actually a gift card. What is great is that if somehow the gift certificate gets lost along the way you will always have the gift certificate in email format!The amount of variety of stores on this site is great! Plus I love that you can search not only by store name but also who are you shopping for or what type of store. Plus this is very green sort of gift giving, which is always a plus. This is a money and time saver - no gas, no wasted time looking through the malls. It's great! 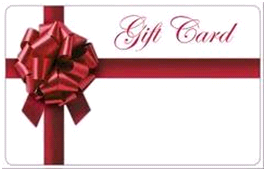 Win It: One very lucky reader is going to win a $25 credit to spend on a giftcard at GiftZip.com! 1. Mandatory - go to http://www.giftzip.com/ and tell me what store you would chose if you won. "Win $25 giftcard to your choice of store #Gift card #Giveaway @melindajoy926 here: _____(link)_____"
amazon.com definitely! there's just so much that you can get there! I would choose Amazon! Thanks! I like the Bass Pro cards. I subscribe to your blog via email. agil8r(at)excite(dot)com. Hi! I think Amazon would be my first choice from Giftzip. Thanks! I would love to get one for Amazon! I follow as wiscmom24 on Twitter. I'd like the Amazon Gift Card. I would LIKE to get the Kohl's Gift Card. I’m a subscriber via email. i would get one for Blick art supplies,my daughter is in design school and there is one close to her college this would help with supplies. Amazon would be my choice, Thanks for the wonderful giveaway. I would definitely choose the Amazon gift card:) So many items you can purchase on there. Thanks! And an email subscriber too. I would choose Amazon so my hubby could get a book. I would get the Amazon.com GC. I follow you blog with GFC. I follow you on Twitter @kimmi78_sd. I would choose a JCPenneys Gift Card. I would choose Amazon. Thanks. I'd choose Amazon or Target, thanks. There is so many to choose from!! I think I'm going to have to say Borders because who doesn't love their books!? I think I would choose Amazon.com! I'm a follower through GFC under Kayla @ TheEclecticElement! I'd like the Amazon card. I'd choose the Amazon.com gift card....so many things to choose from on the site. I would probably get a GameStop card. Lots and lots of gamers in my family! I follow you on twitter as QTpies7. Love a follow back! This would be great for Amazon.com! I would use it at Borders! I'd love a gift card to Sephora! This blog is a personal blog written and edited by me. For questions about this blog, please contact mjf926@gmail.com. This blog accepts forms of cash advertising, sponsorship, and other forms of compensation. The owner(s) of this blog is occasionally compensated to provide opinion on products, services, websites and various other topics. Even though the owner(s) of this blog receives compensation for our posts or advertisements, I always give my honest opinions, findings, beliefs, or experiences on those topics or products. The views and opinions expressed on this blog are purely the bloggers’ own. Any product claim, statistic, quote or other representation about a product or service should be verified with the manufacturer, provider or party in question. More Coming Soon. . .
All PR pitches are welcome! I love to review products, new or old, so if you have a product that you would like to promote, please contact me at mjf926@gmail.com or use "contact me" link under the header. Please see Product Review Details at the bottom of this blog side bar! If you are interested in sponsoring a giveaway on my blog please contact me at mjf926@gmail.com, or use the contact link at the top of my site, under the header.